Moshi Monsters Animation – I was happy to help with some of the initial character animation for Mind Candy’s awesome Moshi Monsters brand. A combination of tweening and frame by frame techniques were used to create really smooth cartoony movement. Squash and Stretch: The purpose of which is to give a sense of weight and flexibility. Anticipation: to prepare the audience for an action. Staging: to direct the audience’s attention. Pose to Pose: drawing a few key frames, and then filling in the intervals later. Follow Through and Overlapping Action: to give the impression that characters follow the laws of physics. Easing: Animation looks more realistic if it has more drawings near the beginning and end of an action. Arc: Most natural action tends to follow an arched trajectory. Secondary Action: Adding secondary actions to the main action gives a scene more life. Timing: which translates to the speed of the action on film. Exaggeration: as animated motions that strive for a perfect imitation of reality can look static and dull. Solid drawing: which means drawing with volume and weight. Appeal: which corresponds to what would be called charisma in an actor. Mind Candy is a British entertainment company, formed in 2004 and based in Shoreditch, London, England. Moshi Monsters can be played (HERE). Get Involved and Share the Moshi Monsters Animation! Note: I didn’t design any of the characters shown on this page. 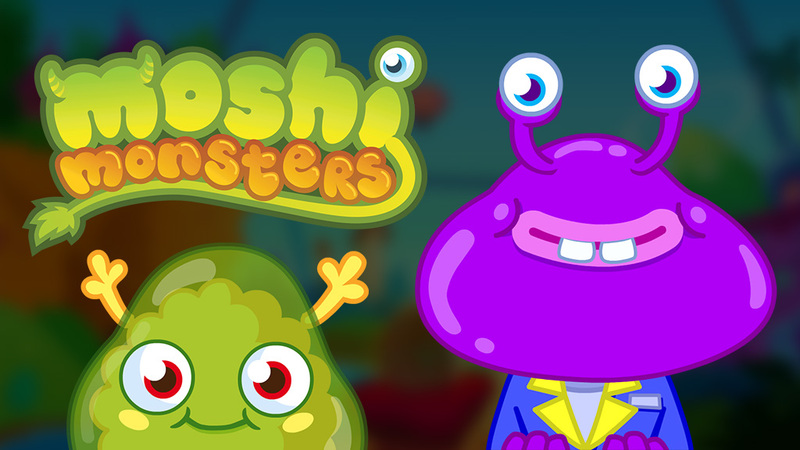 Moshi Monsters is copyright of Mind Candy Ltd.